Dr. Peyskhov and Dr. Turkenich and the team at Crosspoint Family Dental offer full cosmetic dentist services in their Billerica, MA area office, conveniently located in Lowell. We hope that we can achieve your smile goals. Cosmetic dentistry encompasses art and science to offer smile enhancement, restoration and maintenance for optimal dental health. Crosspoint uses cutting edge technology while our office staff provides a friendly, comfortable atmosphere. Cosmetic dental procedures usually require at least two appointments. One of our cosmetic dentists will discuss your options with you and provide you with a recommendation based on your current oral health and your smile goals. Some of the most common problems that a cosmetic dentist can help with are things you may have been living with for years. This might be a gap, broken, chipped or cracked tooth, crooked or misaligned teeth, stained or discolored teeth, short or worn teeth and even jaw problems that may cause headaches. You do not have to live with these any longer! Contact a highly experienced cosmetic dentist in the Chelmsford, MA area at Crosspoint Family Dental today. Be sure to check out our special promotions page to see current promotions and to ask about our interest free financing. 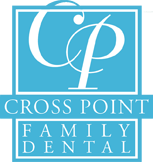 Located on 850 Chelmsford St. in Lowell, MA, Crosspoint Family Dental can be reached at (978) 459-6467.